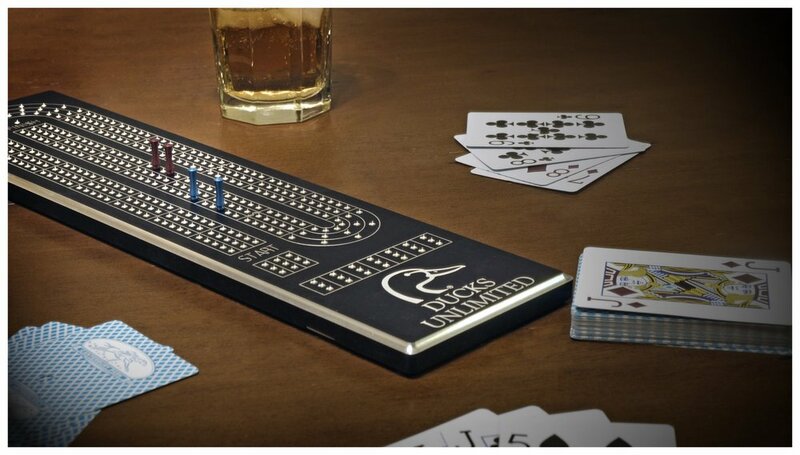 Enjoy cribbage on a board that is sure to last a lifetime…maybe more. Constructed from solid billet aluminum, these heavy weight boards and solid billet pegs are as timeless as the game of cribbage. Choose from several pre-customized boards featuring popular hobbies, organizations, or passions; or personalize your board with your name, phrase, or logo and make it a true original. They make a great Christmas gift, special birthday present, or business promotion. Our boards are proudly made right here in the USA and measure 4” x 15.5” and weigh a solid 3.1lbs. No one will question your love for cribbage when you pull out this board and challenge your friends to this time-honored game.